PS3’s beome outdate now and most new games won’t care to provide a PS3 version. But you can still use it to play Blu-ray discs although it doesn’t support playback of 4K Blu-rays. But it still makes a great Blu-ray player. But the AACS encryption is constantly updated for the protection of Blu-ray discs so when you put a new Blu-ray disc in your PS3, you might receive a messge that requires you to renew the encryption key by performing a software update. If you haven’t done this before, check out how to renew encryption key on PS3 with and without Internet. Things would be a lot easier if you can just get your PS3 connected to the Internet. If you can get it online, here’s how to renew the encryption key on PS3 with Internet connection. 1. Turn on your PS3 first. If there’s a game disc in it, eject it first so that you can get to the main menu. 2. Go to Settings>System Update and then select Update via Internet, and then press the X button on your controller to confirm. And the update will start and you’ll need to follow the on-screen instructions to finish the upgrade. With Internet connection the PS3 encryption key can be easily renew. If you can’t get your PS3 online, then you can renew the PS3 encryption key by using a flash drive. Yes, there’s a way that would allow you to renew PS3 encryption key without Internet connection. Here’s how. 1. Go download the latest software update available for PS3 from PlayStation.com to your computer. 2. Insert your flash drive into the USB port on your computer and open it in File Explorer. Create a new folder in it and name it UPDATE. 3. Transfer the update file you just downloaded to the UPDATE folder you just created and remove the flash drive from your computer. 4. Remove your flash drive from your computer and connect it to your PS3. 5. 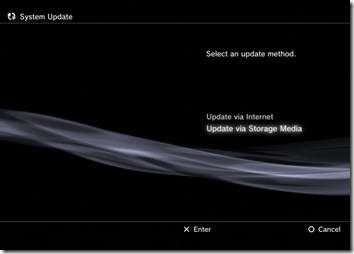 Turn on your PS3 and from the main interface, go to Settings>System Update and select Update via Storage Media, and press the X button on your controller. 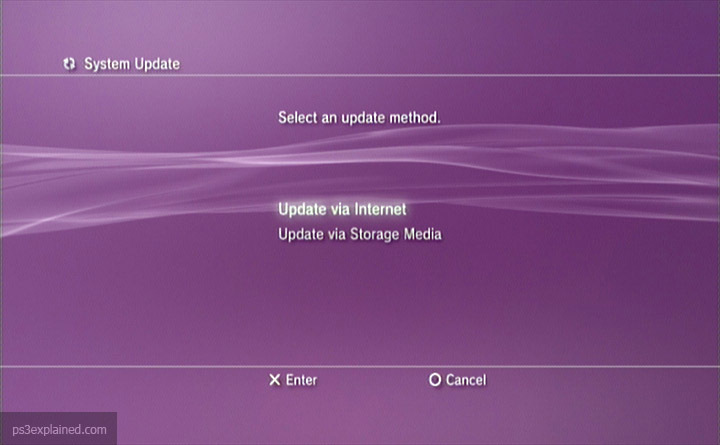 Then there will be a message from your PS3 telling you that a new update was found. Just press X to confirm and install the update. After the PS3 encryption key is renewed, try playing the Blu-ray disc again and see if it works. To play Blu-ray on PS3, there’s actually a simpler way, and that is to rip the Blu-ray movie to MP4. As you know, PS3 can play MP4 videos directly from a flash drive, so if you can get the Blu-ray movie to convert to MP4 and put the MP4 video in your flash drive, you’d be able to watch the movie withing needing to renew the PS3 encryption key. If you are interested, check out how to rip Blu-ray to MP4 to play on PS3 in the content below. The first thing we need is Blu-ray ripper software. The one I’ll be using is Leawo Blu-ray Ripper. It can rip all kinds of Blu-ray and convert Blu-ray movies to common video formats like MP4, WMV and MKV. If you want, it can even rip Blu-ray to lossless MKV video with all teh audio tracks and subtitles. 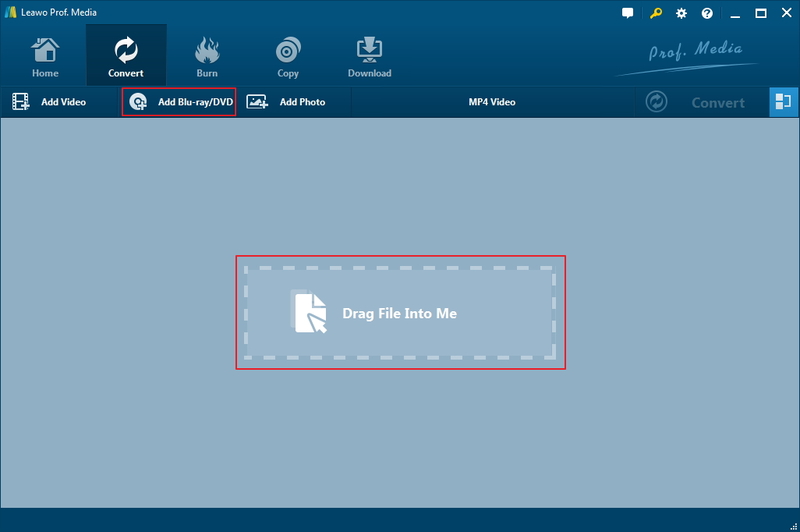 Find out more about the program in the user guide below which shows you how to rip Blu-ray to MP4 to play on PS3. Note: Leawo Software decidec to integrate the program into its software suite called Prof.Media a few years ago so when you install the program onto your computer, it’s actually Prof.Media that you will install. Step 1. Open Prof.Media. You can directly look for the shortcut to the Leawo Blu-ray Ripper right on the interface you see after launch Prof.Media. Click the Blu-ray Ripper icon as you find it and it will take you to the Blu-ray Ripper interface. Step 2. Put the Blu-ray disc in your Blu-ray drive so that you can have the source Blu-ray files imported to the Blu-ray Ripper. 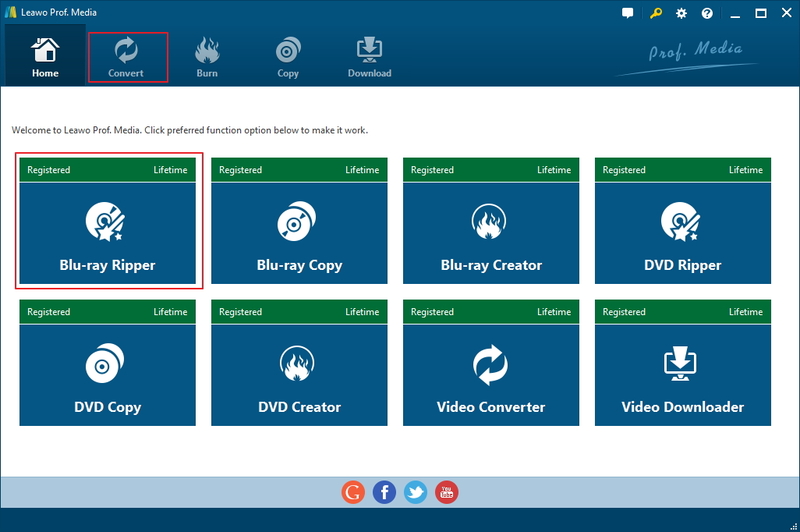 To do so, click Add Blu-ray/DVD>Add from CD-ROM and click on the following menu which shows the title of your disc. Step 3. As the media files are loaded in Leawo Blu-ray Ripper, they will be listed on the left side and there’s a video player on the right side for you to play the videos. You are free to choose the videos to rip from the list and there are 3 options provided for you to quickly choose the videos. The Full Movie button will directly have all the videos selected for ripping. Main Movie will select the main movie only. Custom Mode is the one mode for you to select the videos manually from the list. Click OK to go to the next step. Step 4. The videos you chose to rip from the last step will be imported to the video list. What we need to do in this step is to select a format to rip and convert the videos into. Click the button that sits on the left of the green Convert button above the video list and then click Change to go to the video format and change the default output format. As we are ripping the Blu-ray movie to play on PS3, there’s a profile designed specifically for PS3 which can be found in Device>Sony. When you see the PS3 profile, click on it and it’ll be selected and you will return to the video list automatically. You can click the Edit button on the left side of the Change button to open Profile Settings to change the parameters of the PS3 profile if you want. Step 5. Click the green Convert button and a sidebar would come up following the click. The last thing you need to do before starting the ripping process is set the output path for the videos you are ripping in the Save to box. And then you can start the ripping process by clicking the Convert button at the bottom. If you can’t get the PS3 encryption key renewed, it’s a nice alternative for watching the movie on your PS3.